It's important to understand the meaning of colors when decorating your children's room. Since bedrooms are the most private places in the house, they give the individual the perfect opportunity to express themselves. Let's start from the beginning. 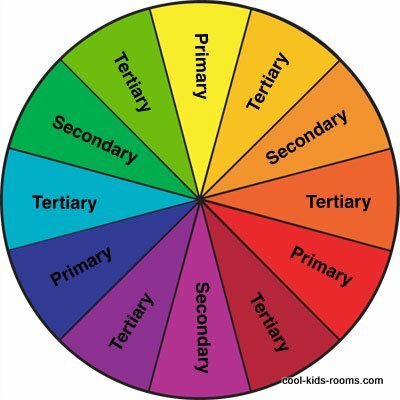 Basic color wheel is made up of twelve colors, which are then divided into three groups. The primary colors, such as red, yellow, and blue are pure, which means that they are original and cannot be created by mixing other colors. But, mixing two of the primary colors will make the secondary colors. Mixing red and blue gives you violet, yellow and blue gives you green, and red and yellow result in orange. The last group is the tertiary colors, which are made by mixing a primary color and a secondary color. The tertiary colors are red - orange, yellow - orange, red - violet, blue - violet, blue - green and yellow - green. 1) A complimentary color scheme uses two colors that are opposite of each other on the color wheel, such as red and green or yellow and blue. Complimentary colors are usually bold contrasting colors. 2) The split complimentary color scheme uses one color of your choice combined with two from opposite sides of its complementary color. A good example of this is yellow-green and orange-yellow. 3) A triad color scheme uses three colors that are equally distant from each other on the color wheel such as red, yellow and blue. This theme is great for colorful toddler rooms. 4) A tetrad color scheme uses a total of four colors, two pairs of complimentary colors - for example orange and blue with green and red. 6) The monochromatic color scheme uses only one color; therefore it's particularly easy. 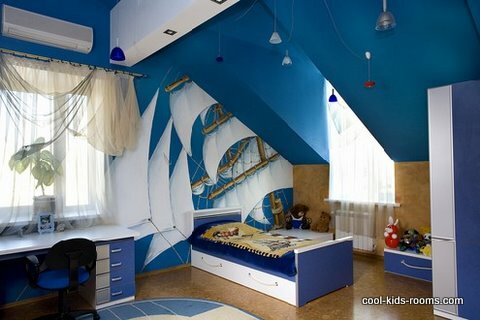 Examples include a totally blue or a totally pink room. This would require careful blending of the color, changing its depth, tone, and shades using only mixtures of black and white. It's important to understand the meaning of colors because they can have a psychological effect on you. The colors red, orange and yellow suggest warmth, as in sunning or sitting in front of a fire. Yellow is very vibrant and promotes happiness. You can make a large room seem small and cozy by using these warm colors. The intensity of the color is up to you. You can lighten it by adding white, or darken it by adding black. These changes affect the color's value. Also, the lighting in the room can dramatically change the meaning of colors. Natural light continuously changes, so make sure to test out a few test samples before you start. The meaning of colors is so important that it has become an art. Chromo therapy is the art of using color to heal, and was practiced by several of the ancient cultures. It is still occasionally used in alternative medicine. 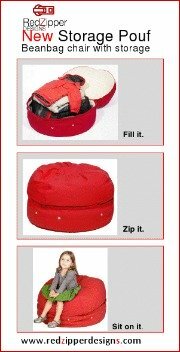 Think about these things as you plan your decorating color schemes, and you will be pleased with the results.